(Boston, MA March 18, 2013) We are pleased to announce that Michael E. Fox has joined AirVentions as an advisor. He currently consults for a number of start-up companies and is a member of MIT’s Venture Mentor Program supporting over 200 initiatives focusing on technology innovation. Mr. Fox’s talents cover such areas as solution sales, marketing, project/product business management, corporate development, strategic planning and capitalization. Mr. Fox’s prior experiences include executive level positions with JetQue (Chief Strategic Officer); Mitsubishi Electric America (Senior Director) and SONY Electronics. Michael has had numerous consulting engagements in a variety of industries and disciplines. In the Silicon Valley venture capital community, he has been active in deal sourcing, due diligence and advisory services to both institutional and corporate venture capital funds. Mr. Fox holds a Bachelor of Science degree from Massachusetts Institute of Technology and is a member of the Educational Council. He has lectured internationally and published numerous white papers. Michael is active in alumni and trade affiliations such as MIT Club of Northern California, Silicon Valley China Wireless Association, Asia America Multi-technology Association and The Indus Entrepreneurs. Michael will provide valuable insight in business development, strategic planning and capitalization. Additionally, his knowledge of US and international markets and his relationships with the financial community worldwide will greatly benefit AirVentions. We are excited to welcome Michael Fox to the AirVentions team. 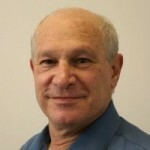 (Boston, MA March 13, 2013) We are pleased to announce that Dr. Lawrence Kaufman has joined AirVentions as an advisor. He is currently the CEO of Lightwave Power, Inc., a company developing nano-technology based light management systems for displays and light control applications. Dr. Kaufman’s prior experiences include executive level positions with Sionex Corp. (Founder); The Pinnacle Acquisition Group; The MicroOptical Corp. (MyVu Corp); OutOfOffice Technology LTD; Otter Inc.; Digital Graphics, Inc. (Founder); A.C. Allen & Company, Inc.; Tropix, Inc. and Psychemedics Corp. Larry’s earlier experiences also include 14 years with Polaroid in a variety of managerial roles. Dr. Kaufman is a graduate of Rensselaer Polytechnic Institute with a B.S. Physics degree and Tufts University with a Ph.D. Solid State Physics degree. His education also includes an Executive Development Certification from Yale University and an Advanced Professional Certification from the American College of Corporate Directors. Larry will provide valuable insight into a broad range of technical challenges that we are addressing. More specifically, his knowledge of nano-technology based light management systems for light control applications will enhance product development and timing. Larry’s outstanding record of achievement running technology based startups as well as his global network of contacts will be additive value to our development efforts. 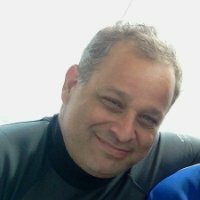 We, at AirVentions, are thrilled to have Larry Kaufman join our team. For busy airports with not a lot of room to maneuver, runway incursions involving ground equipment happen all too frequently. While most do not cause significant injuries or damage to aircraft or the ground equipment involved, they do often result in operational delays that can be expensive in and of themselves. Clearly, if a runway incursion requires a go-around, there are added fuel costs and the costs inherent in delayed schedules. But even when no go-around results, there are certainly reams of paperwork to be filled out and questions to be answered by everyone involved.Of course, runway incursions always carry the risk of something more catastrophic – an actual collision with an aircraft. So avoiding these incursions has been a priority for the FAA, airport operators and, of course, GSE operators and the airlines. For years, people have talked about using GPS for the purpose of preventing ground support equipment from entering controlled areas without authorization. 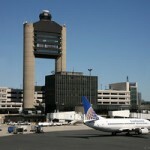 Now, Logan International Airport is using GPS to monitor ground support equipment on the airport operations area. This promises to be a real time system for tracking ground equipment and may prove to be an invaluable piece of the ongoing attempts to prevent runway incursions. “Your timing is perfect. Many of our clients have been asking for your type of solution” observed an OEM manufacturer. 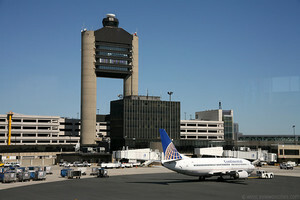 Boston, MA September 21, 2012 – AirVentions’ CEO, Spencer Irvine, announced today that they had a successful demo of their first prototype collision avoidance and detection system with the assistance of JetBlue Airways. The demo took place at the Amelia Earhart Hangar (Boston’s Logan Airport) on September 19, 2012. Key components of the demonstration included object detection capability as well as the basic data usage recording abilities. AirVentions saw wide industry support and offers to conduct pilot tests. 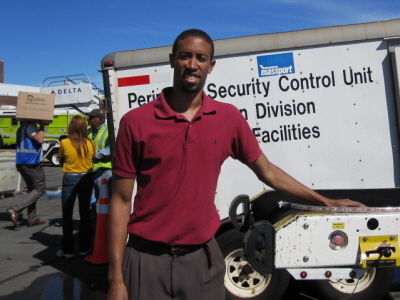 Boston, MA September 14, 2012 – AirVentions’ CEO, Spencer Irvine, announced today that they will be demonstrating their collision alert and data reporting system for GSE vehicles to several airlines at next week’s Logan Safety Fair. Irvine stated “This represents a significant step for AirVentions as we now have a working prototype and have moved well beyond the conceptual stage.” This year’s event will take place at the Amelia Earhart Hangar (Boston’s Logan Airport) on September 19, 2012 between 10:30 AM to 2:30 PM. AirVentions Inc. has been selected to exhibit at the MIT Enterprise Forum: 2012 In-NOW-vation Tech Showcase. The exhibition will take place April 26th, 6-8:30 p.m. at Microsoft NERD (Cambridge, MA). AirVentions CEO, Spencer Irvine, will be attending the annual Cygnus Aviation Expo held in Las Vegas, NV from March 7 – 9, 2012. The Expo is a key meeting for aviation professionals, showcasing leading technologies for ground support, FBO (Fixed Based Operators) and aircraft maintenance professionals.